A key part of the development of the Stapleton community, as envisioned by "the Green Book," was the decision to retain more than a third of the total property for parks, recreation, and open space. As development continues in Stapleton, trails, parks, and open space have evolved to enhance the unique nature of this urban community. 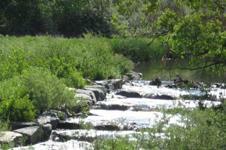 The 80-acre Central Park is one of the premier urban parks in the United States, and the third larget park in Denver. In addition to plenty of open space and athletic fields, the park features a children's play ground with climbing rocks, a purpose-built sledding hill, fountains, and a one acre lake perfect for model boat sailing. 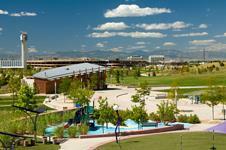 Stapleton is home to one of the largest recreation centers in the Denver Parks and Recreation system. 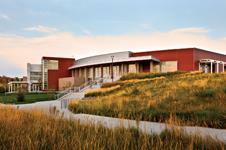 The Center features a large cardio fitness center with expansive mountain views, weight and aerobics areas, and basketball and volleyball courts. There are two pools with lap lanes and a "lazy river," and a "wet" party area. 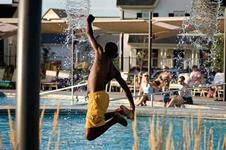 The Stapleton Master Community Association currently operates six community pools in Stapleton. These pools are designated as public swimming pools for the surrounding community and neighborhoods. 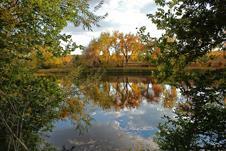 Stapleton's 25 miles of trails and paths connect to Denver's vast 850 miles of bike trails, as well as to the Bluff Lake Nature Center and Sand Creek Regional Greenway. With hard and soft trails through out the neighborhood, there's something for everyone on two (or four) feet or two wheels! In Stapleton you are never more than a few blocks from a neighborhood "pocket park" - a gathering spot for neighborhood get togethers, kids at play, and after-work relaxing. 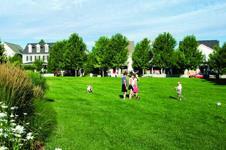 With public open spaces everywhere, Stapleton provides great opportunities for neighbors to build a community. 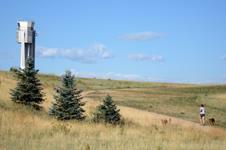 Bluff Lake Nature Center occupies 123 acres adjacent to Sand Creek on the eastern edge of the Stapleton development. It offers a variety of native habitats including a seasonal lake, wetlands, short-grass prairie, a riparian zone and wetland woodland. It is also an outdoor classroom for thousands of students each year. Sand Creek Regional Greenway is a nearly 14-mile public greenway, connecting the High Line Canal in Aurora at Tower Road and Colfax Avenue, with the South Platte River Greenway in Commerce City. The soft-surface Sand Creek Regional Greenway trail completes a loop of 50 miles of off-street urban trails in the northeast metro Denver area.